If you’ve ever dreamed of automotive nirvana, Pebble Beach Week is a solid candidate for the place. 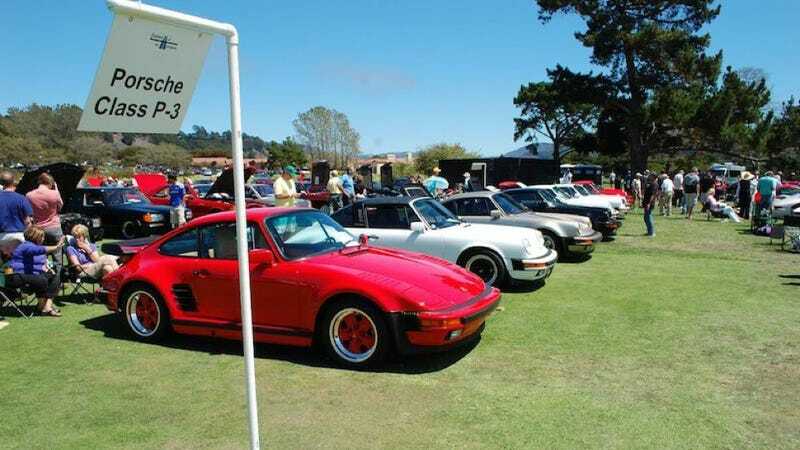 If you’ve also dreamed of being at Pebble and hanging with a bunch of awesome car nerds, then come join us today at the Porsche Werks Reunion party in Carmel Valley. Or, you know, if you just want some sweet Jalopnik stickers. We’ll be there starting around noon today. It’s at Michelin’s tent. Full disclosure, they bought some ads for us this week, but then we asked if we hang around their tent and they were totally cool with it. They’re also sponsoring the Werks Reunion, a fun and free (FREE!) event hosted by the Porsche Club of America. Come hang out in the tent! Anyways, you should stop by, and grab a whole bunch of stickers to slap on your face or car. It’ll be a real good time.